IEC/DVD Adapter - $19.99 ea. IEC/DVD Adapter (polarized)- $19.99 ea. 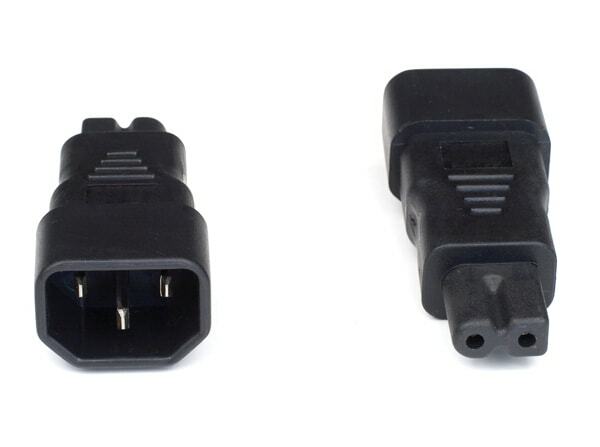 IEC Cloverleaf Adapter - $23.99 ea. PC Burn-in adapter - $12.99 ea. 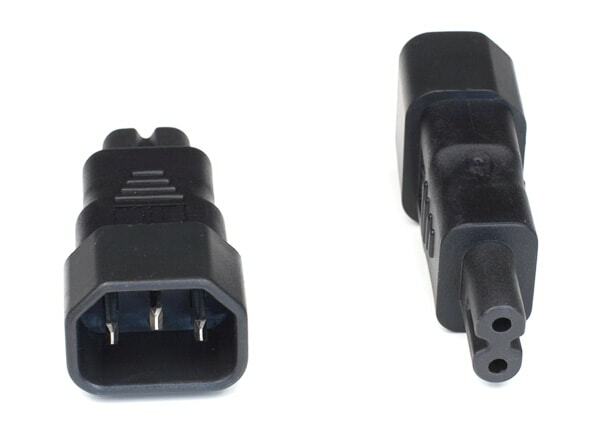 The PC burn-in adapter allows you to burn-in any audiophile power cord that has a standard IEC connector. 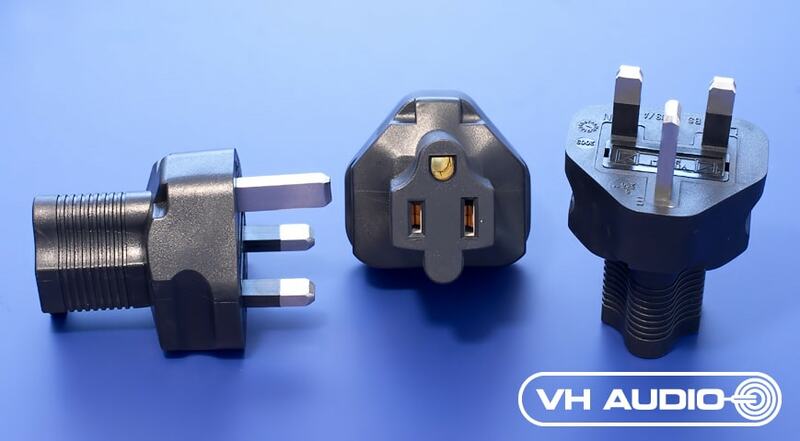 On one side of the adapter, you plug in your PC's IEC end, the adapter then converts to a standard NEMA 15 amp female plug, allowing you to plug any 15A household appliance into your PC for quick burn-in. This means no waste of valuable vacuum tube life or unnecessary strain on your gear. Just daisy-chain several new power cords together, and burn them all at once! I have found the best place to burn-in PC's is with box fans, dehumidifiers, refrigerators or any indoor appliance that is rated for 15 amps, and draws a fair amount of current. The DVD IEC adapter (c7) enables you to use standard aftermarket power cords with your DSS, DVD, or CD player. There are TWO versions of this adapter. One is NON-polarized, and has a "figure 8" shape to it. The other is polarized, with one side of the figure "8" squared-off. 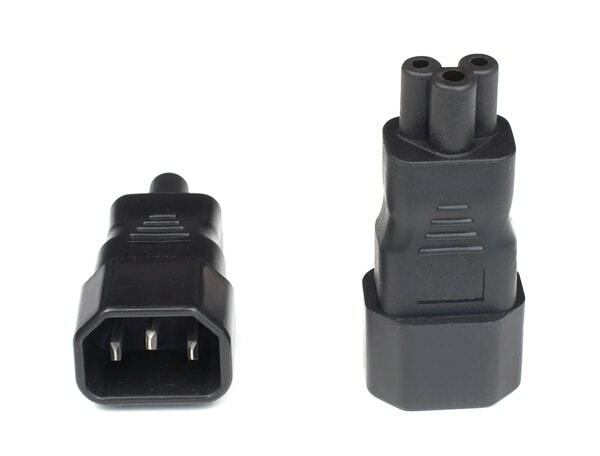 The Cloverleaf (c5) adapter is now available to fit c13 style IEC's. This configuration commonly found on plasma TV's. All of these adapters (except the US Female NEMA to male IEC) have been Deep Cryogenically treated for maximum performance! 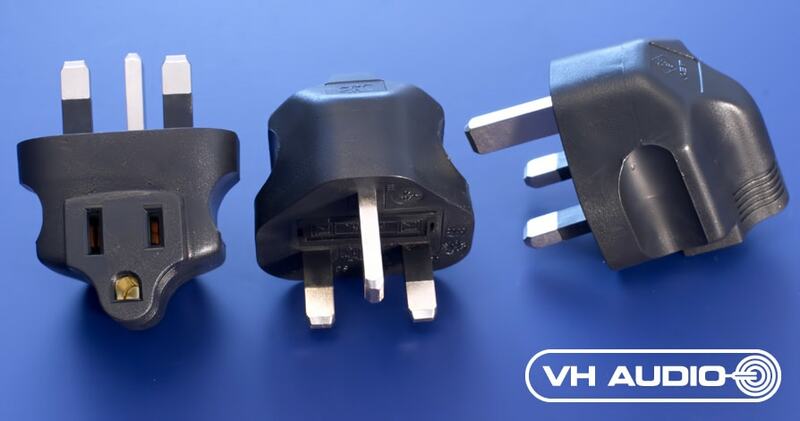 US to Schuko adapter - $19.99 ea. 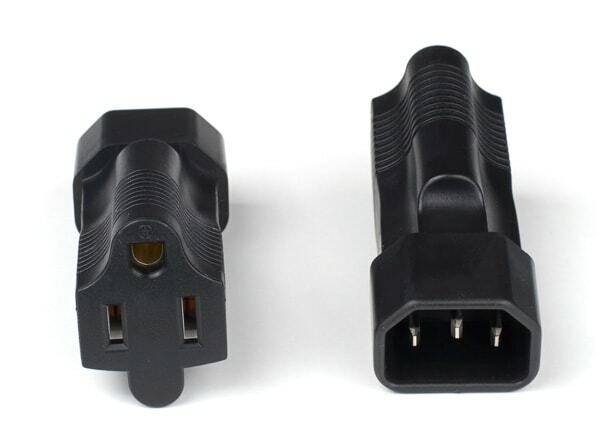 US to Schuko Angle adapter - $24.99 ea. Schuko female to U.S. Male adapter - $19.99 ea. Schuko female to U.K. Male adapter - $24.99 ea. US to U.K. adapter - $19.99 ea. US to U.K. angle adapter - $24.99 ea. US to Aussie adapter - $19.99 ea. 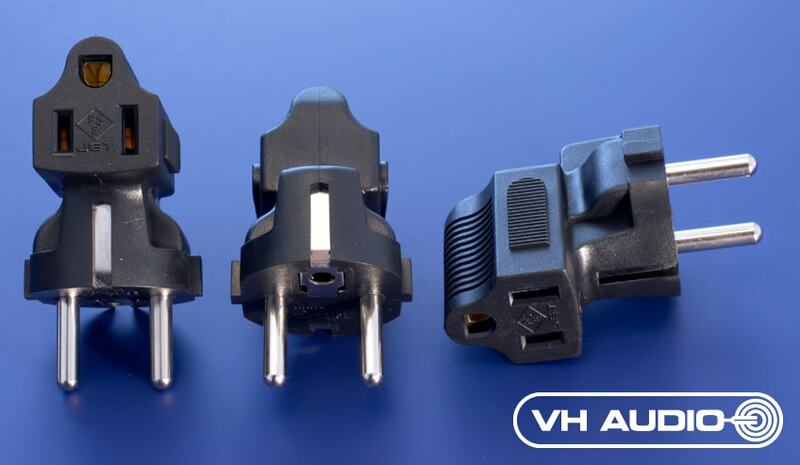 Aussie to US adapter - $19.99 ea. US to Italy adapter - $19.99 ea. 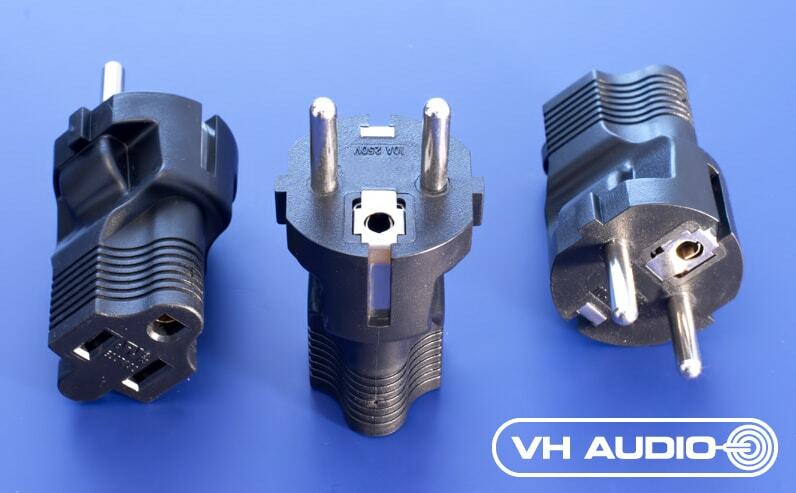 VH Audio stocks a variety of HIGH-quality AC adapter plugs that will convert U.S. style 15 amp NEMA male AC plugs to international configurations including Schuko, United Kingdom, Australia, and Italy. 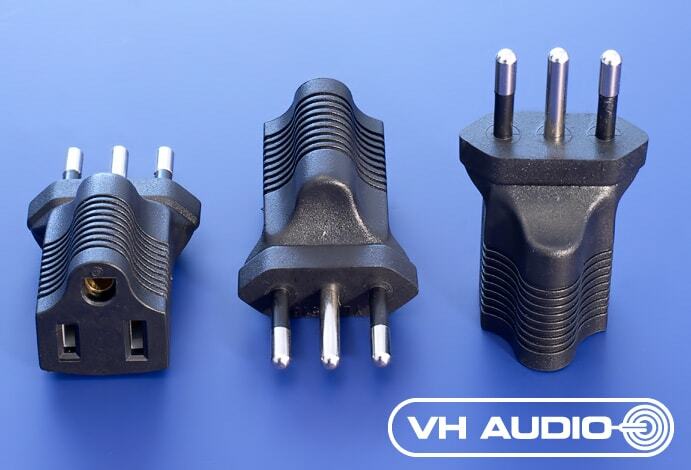 Now you can use audiophile cords with U.S. male connectors in your own country! 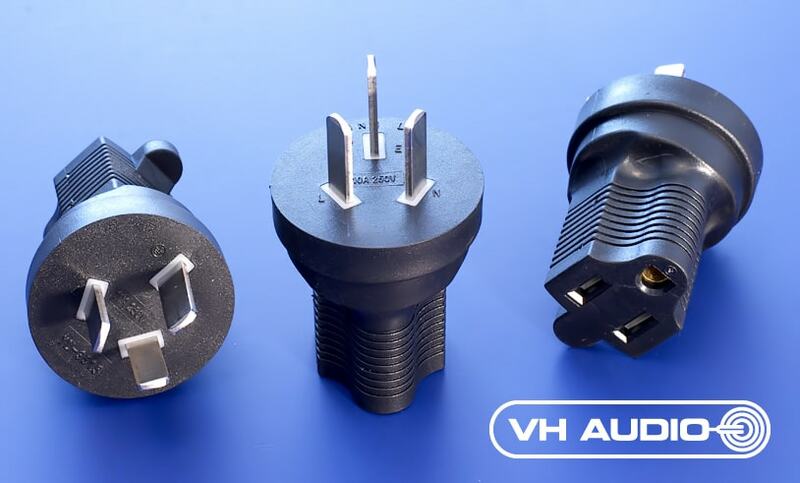 All of these adapters are deep cryogenically treated for maximum performance.